Erlenbaugh held many other positions throughout his tenure at LA. Read his Hall of Fame profile below for more details. Coach Erlenbaugh is the 5th person in on the 2nd row - #64. Charles P. Erlenbaugh wore many hats but none more telling than that of a princely gentleman. Robust, accomplished, and in every respect humanitarian, he bore the mantel of a coach's player and a player's coach. 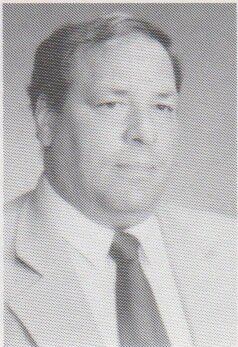 During his thirty-two year tenure at Loyola, where he served a myriad of positions - PE Department Chair; Assistant A.D.; Assistant Varsity, Sophomore, and Freshman Football Coach; Assistant Varsity Tennis Coach; Moderator of Boys' Volleyball - Chuck was indeed a "man for all seasons." At St. George in 1962, the 6-1, 198-pound senior buoyed two consecutive Chicagoland Prep League championships, garnering All-Conference honors on both offense (guard) and defense (linebacker), a nomination for the Notre Dame Club's Rockne Award, All-Area recognition, and All-State First Team selection. As a Purdue Boilermaker guard, Chuck was no less impressive. 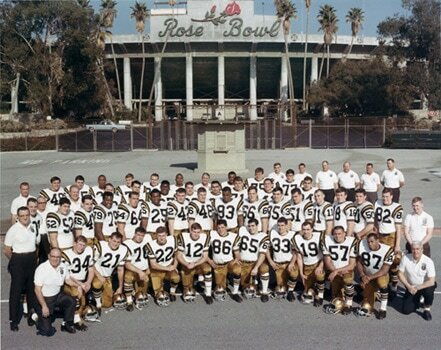 A human wrecking ball on power sweeps and a granite wall on pass-blocking, he anchored the vaunted Purdue offense that nudged Southern Cal, 14-13 in the 1967 Rose Bowl. 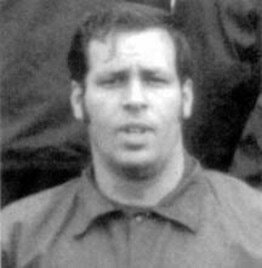 Following the 1966 season he earned selection to the All-Big Ten Team, the Notre Dame All-Opponent Team, and the A.P. All-American Team's Honorable Mention. Drafted by the Ottowa Roughriders of the Canadian Football League, Chuck opted instead to complete his degree. Chuck came to Loyola in 1969 to coach varsity football and teach physical education. He made his presence felt immediately, achieving instant credibility with his players. Quiet, unpretentious, and caring, Chuck possessed a masterful knowledge of football - especially the intricacies of interior line play - and the unique ability to reach and teach young players. His fellow coaches and his athletes deeply respected and admired him not only for his command of the game but also for his good humor, his loyalty, his inherent respect for people, his quiet class. Despite all his personal success as a player, Chuck never forgot that these were only kids and that this was just a game. Chuck is a member of the Chicago Catholic League Hall of Fame (1991), a Loyola Academy Hall of Fame inductee as a coach with the 1969 city champion football team (1998), and the recipient of the Cook County State's Attorney Youth Award (2000).